Nigeria’s female national football team, the Super Falcons have won the African Women Cup of Nations (AWCON) for the ninth time. 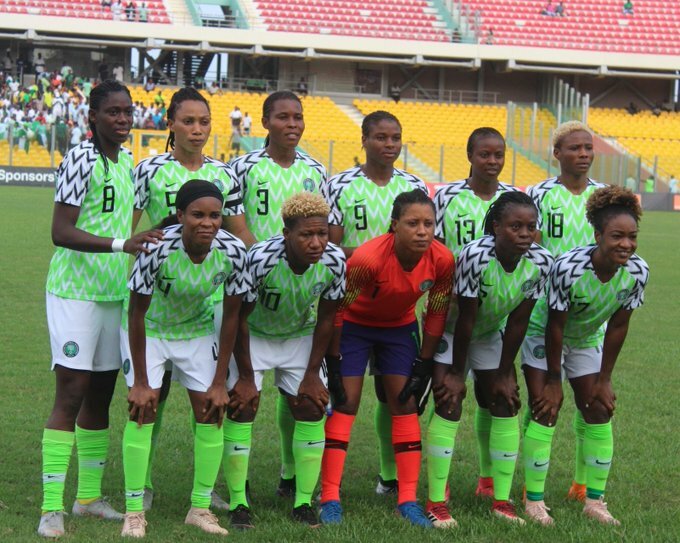 Nigeria had the chance to take the lead in the 75th minute after winger Francisca Ordega was fouled in the box by Bayana Bayana goalkeeper, Kaylin Swart. Striker Asisat Oshoala stepped up to take the resultant penalty, which she sent wide. The game went into extra time as neither team scored a goal in regulation time. Both teams battled hard for the victory but goalscoring chances were few and far in between. The game went into penalty shootouts for the first time in the competition’s history with Nigeria winning 4-3 after Falcons goalkeeper, Tochukwu Oluehi saved South Africa’s final spot kick. Nigeria won the first five editions (1998, 2000, 2002, 2004, 2006) in the competition before they were dislodged in the semi-finals by hosts, Equatorial Guinea in their sixth attempt (2008), who went on to defeat South Africa 2-1 in the finals. The Falcons won the last two editions – 2014 and 2016 – defeating Cameroon on both occasions in the final. Dolapo is a writer and journalist who works with YNaija. He has interests in Christianity, politics and sports. We are excited that Netflix has picked up its first African animated series, ‘Mama K’s Team 4’!